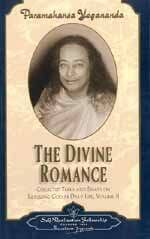 Paramahansa Yogananda Books - Discover Paramahansa Yogananda Books At Vedic Books - Books From India Direct! Paramahansa Yogananda is perhaps the most famous of the Yogis to come to the West with the profound wisdom of the ancient East. He taught the message of Kriya yoga, a profound practice of self-realization and self-purification. He is renowned for his life changing biography entitled 'Autobiography of a Yogi'. A delightful biography of Paramahansa Yogananda's early years by his younger brother. This biography paints a vivid portrait of Paramahansa Yogananda's early years, as seen from the author's unique perspective as his younger brother. The portrayal of other family members and friends and stories of Sri Yogananda's youthful spiritual adventures add to the appeal of this intimate account. Also includes excerpts from family diaries and letters by Paramahansaji to his brother.